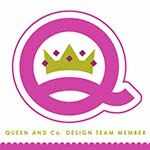 Did you know that Scrapbook Circle creates exclusive digital die cuts to coordinate perfectly with each of their monthly kits? This month's was an amazing 12 x 12 border of X's and O's which coordinates perfectly with the Love Notes kit. My absolute favorite thing to do with background die cuts is to cut them on silhouette out of white cardstock and back them with fun patterned papers. 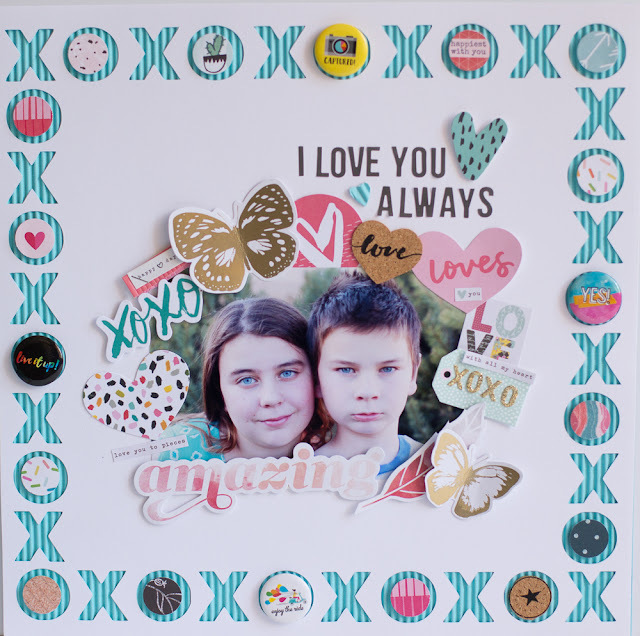 The Love Notes kit also came with a piece of aqua corrugated cardstock from Fancy Pants and I thought it would make a fun background peeking through the die cut X's and O's! 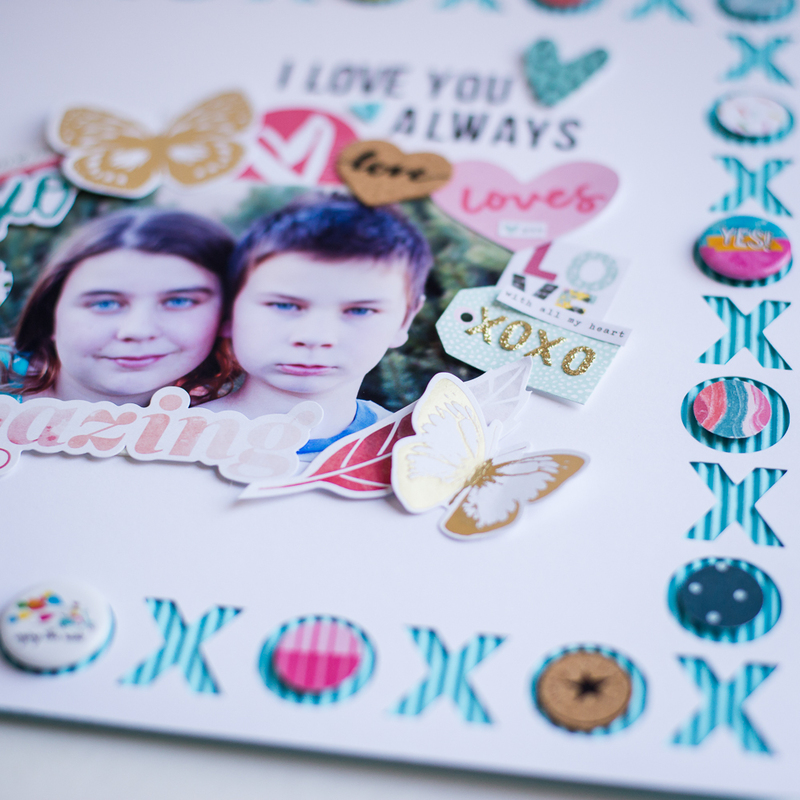 I am also a big fan of filling open spaces of my digital die cut backgrounds with fun embellishments. That was easy to do with Love Notes and the add ons. 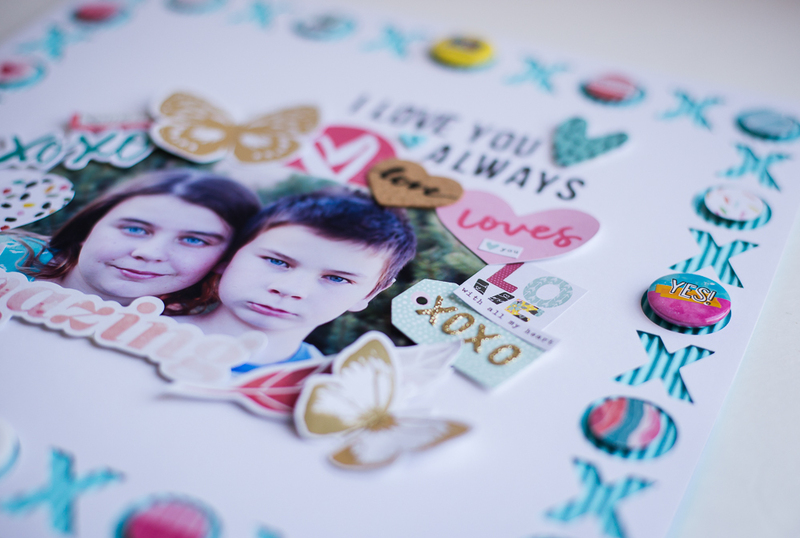 I filled most of the O's with patterned papers that I punched with a 3/4" punch and popped up with dimensional adhesive. Several of the O's I filled in with the Fancy Pants flair from the Hot Stuff add on. I was thinking that this border shrunk down would make a cute card front too!